Where professional security and cost effective solutions go hand in hand. 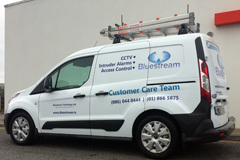 Bluestream Technology is an Irish owned company that provides security solutions to Commercial, Community and Domestic customers. At Bluestream Techniology we advise, design, install and maintain a security solution that meets the needs of our customers. We provide services to a range of clients from the large corporations, small enterprises, Community Alert Schemes and the Agricultural sector. Your security is our concern and given the opportunity we will advise you in a confidential, honourable and transparent manner. 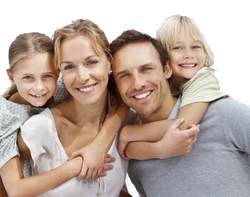 All our systems are installed to the highest standards. We are licenced by the Private Security Authority of Ireland. The PSA is an organisation setup by the Minister of Justice to ensure that companies operating in the Security Industry carry out their work to the highest standards. We are also registered with the National Standards Authority of Ireland to operate in the Security Industry and comply with their exacting standards. All systems we install meet with Insurance company requirements and the Garda Policy for Intruder Alarm Response.